There are 5 blog entries for March 2012. Friday, March 30th, 2012 at 9:17am. Thursday, March 15th, 2012 at 9:32am. South Florida real estate has sparked international intrigue among home buyers in Canada, Brazil, Venezuela and the United Kingdom, according to the National Association of Realtors. The association’s 2011 Profile of International Home Buyers in Florida survey found foreign purchasers accounted for 25 percent of all sales in the Sunshine State – with Southeast Florida ranking as their No. 1 destination. Thirty-six percent of those purchasers preferred to live in a city environment, while 32 percent chose resort areas. Tuesday, March 13th, 2012 at 8:24am. In the luxury golfing and yachting community of Admiral’s Cove many styles of residences are available for ownership. There are a total of 297 custom estate homes on the water when considering Admirals Cove Real Estate. Currently 29 of the properties are on the market and available for purchase. For information pertaining to any of the fine-looking custom waterfront estate homes available for purchase please contact the ACteam@wfpcc.com. Tuesday, March 6th, 2012 at 10:11am. Tiger Woods, whose resurgence on the PGA Tour manifested itself on the final day of The Honda Classic in Palm Beach Gardens, has called South Florida home for about a year. The famous duffer lives in a brand-new, custom-built mansion on Jupiter Island – complete with a 3.5-acre, four-hole practice facility in the back yard. The $54.5 million piece of property spans the narrow island and encompasses 12 acres. 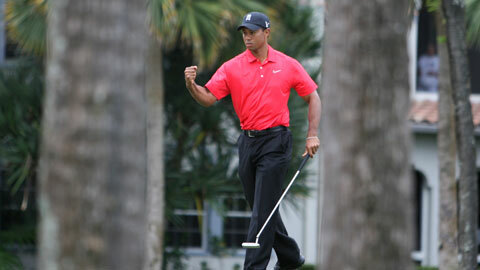 Woods finished in second place at The Honda Classic at 10-under par and shot a personal best of 62 in the fourth round. Fellow Jupiter resident Tom Gillis tied Woods, and the two split the second-place purse. Jupiter Island ranks among the most affluent communities in the United States and stands out for its beautiful beaches and small-town charm. Monday, March 5th, 2012 at 3:43pm. 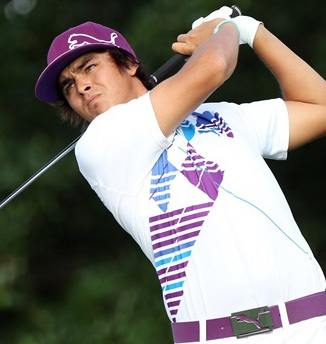 Jupiter resident Rickie Fowler, who tied for seventh place in The Honda Classic at PGA National on March 4, sits as one of three, top-10 finishers who call northern Palm Beach County home. Fowler entered the clubhouse at 6-under par with a final-round score of 66. He tied Dicky Pride. Fowler’s home sits along serene Loxahatchee Riverfront with access to both the Intracoastal Waterway and the ocean. A boat cruise would take him past the homes of fellow pros Mark Calcavecchia, Steve Marino and Camilo Villegas, as well as former NFL great Joe Namath.